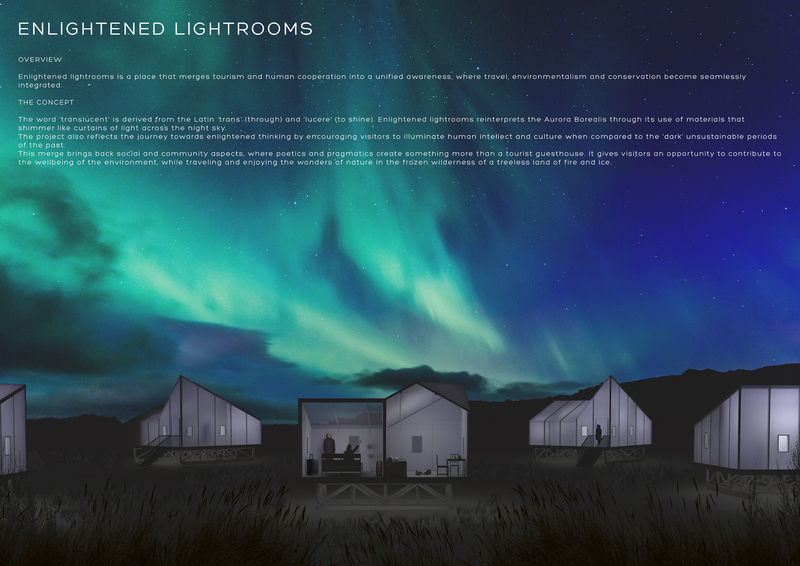 Iceland has a landscape like no other place on earth. 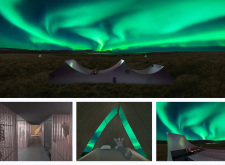 An arctic desert with active volcanoes and hot springs, one can also find mountains, lakes, glaciers, waterfalls, fjords, and a rich trove of unique flora and fauna adapted to extreme cold and wind. 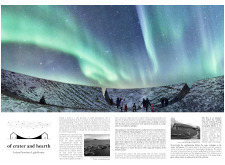 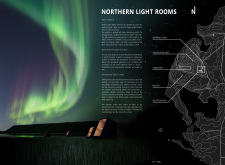 Equally complex, Iceland’s sky brings travelers from around the world to view the stars free of city lights, and to catch a glimpse of the aurora borealis - these northern lights caused by solar winds fill the night sky with varying shades of green, red, and blue, creating forms that change constantly in shade and shape. 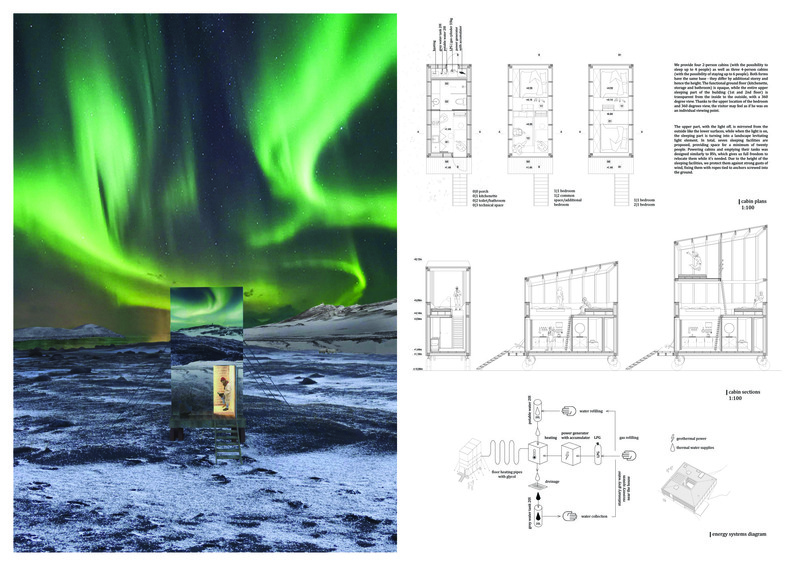 The jury was impressed by the quality and number of submissions. 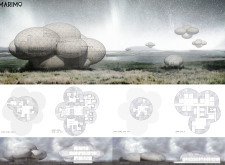 As with all Bee Breeders’ competitions, innovative proposals with thought-provoking design ideas were viewed favorably. 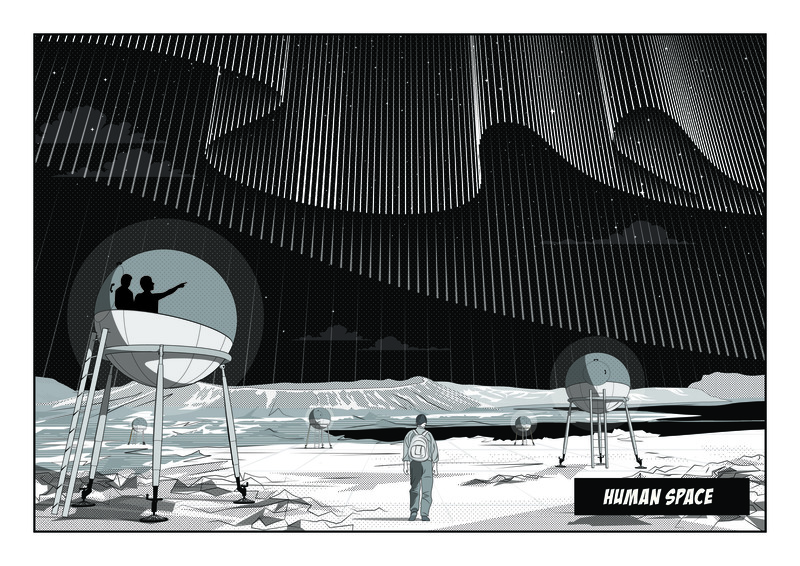 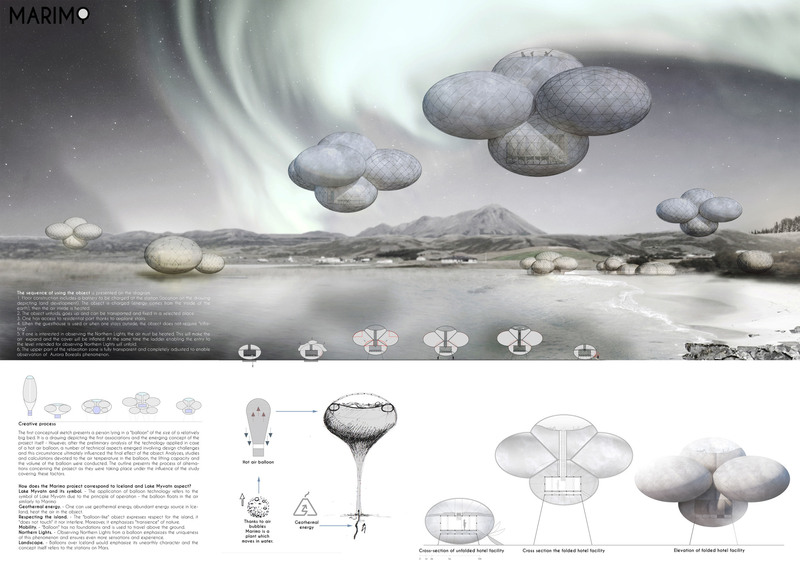 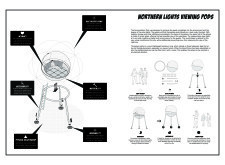 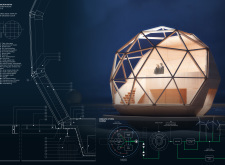 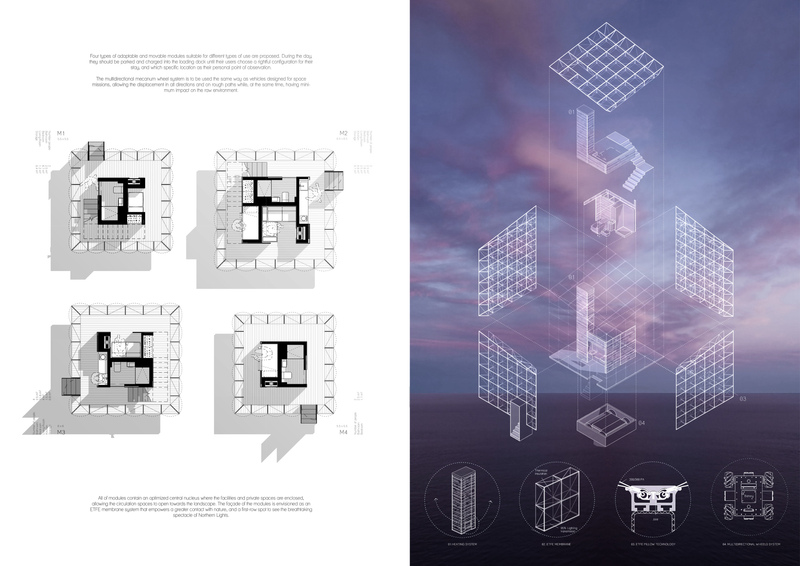 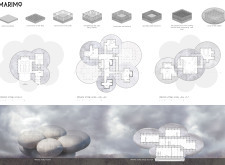 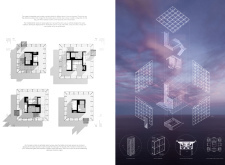 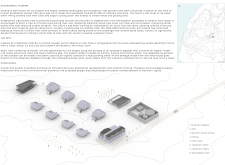 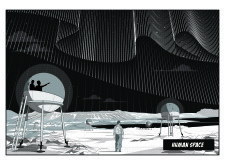 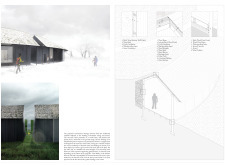 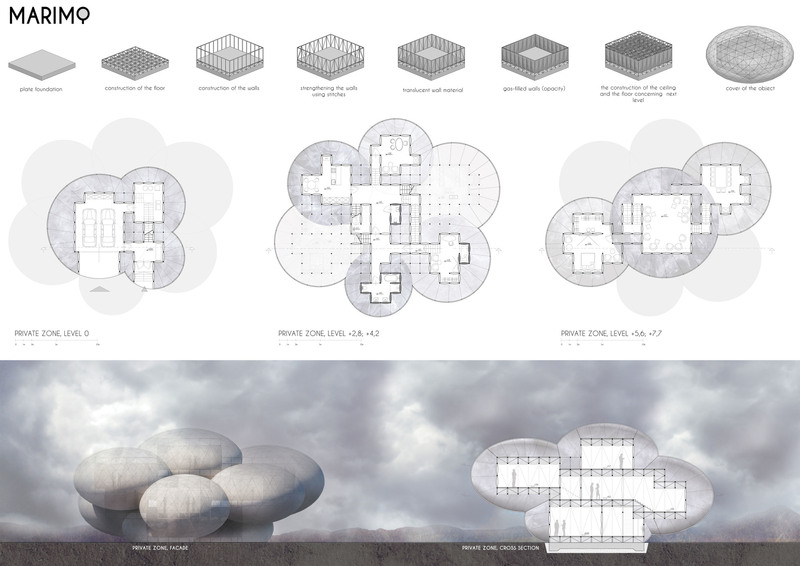 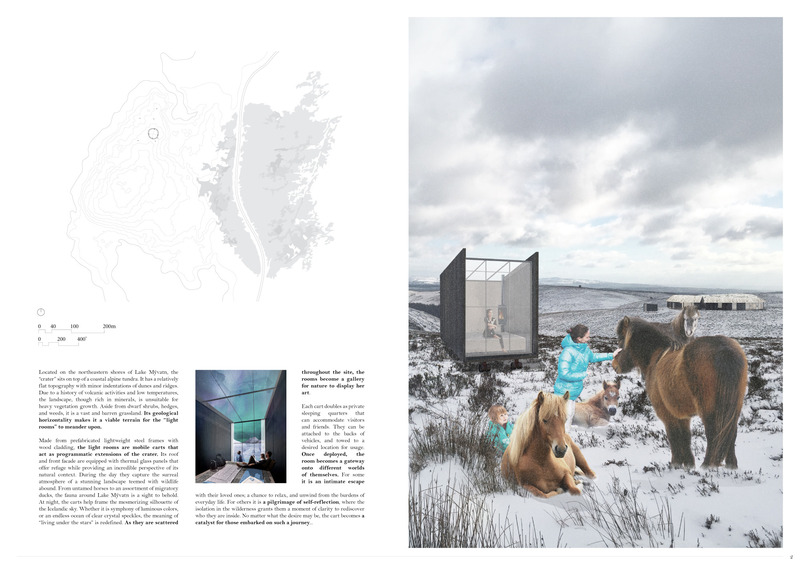 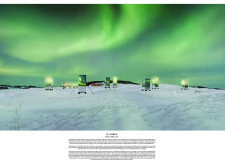 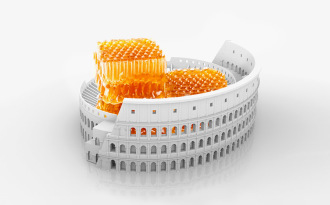 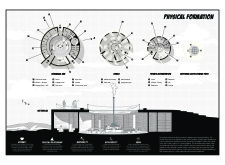 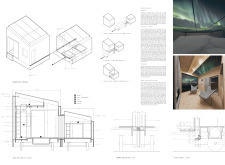 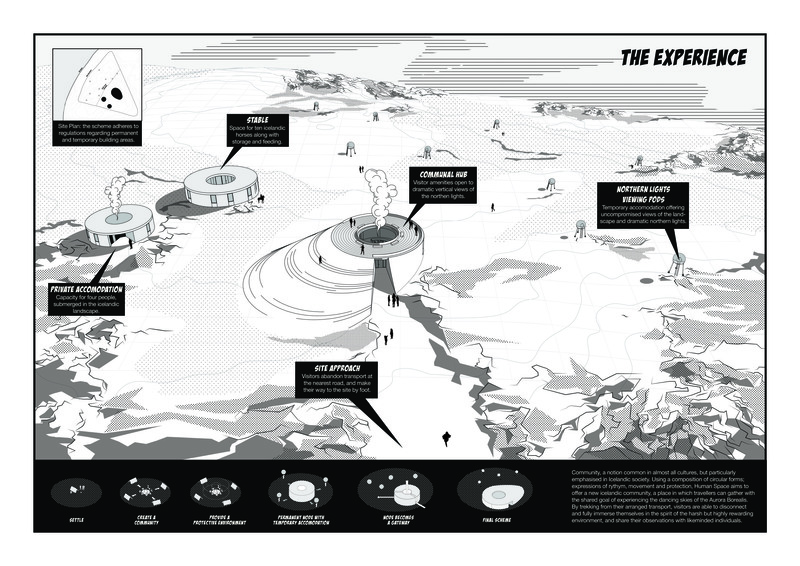 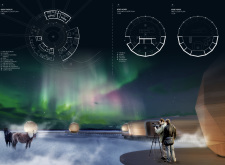 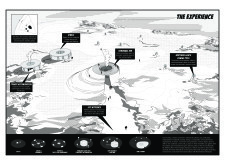 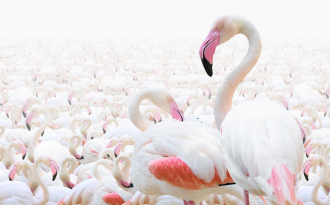 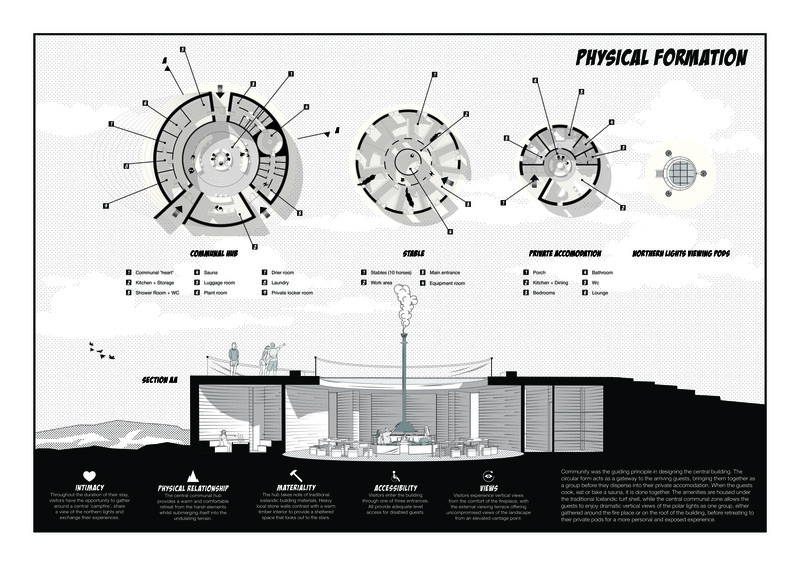 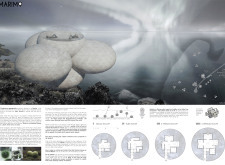 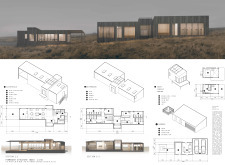 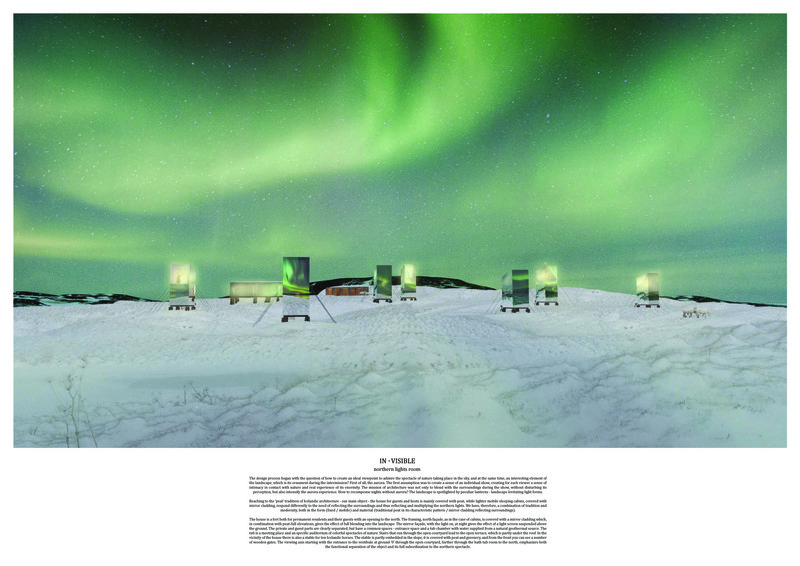 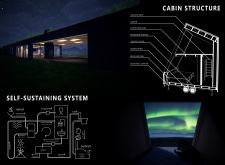 Each of the winning proposals is lauded in particular for experimentation with a specific material, for its distinct interaction with the site and sky, for achieving a design that could be scalable, and for providing cost-effective solutions and construction methods in consideration of the extreme and natural environment. 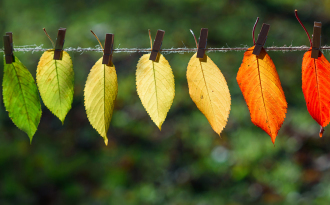 Bee Breeders would like to thank each participant for their participation. 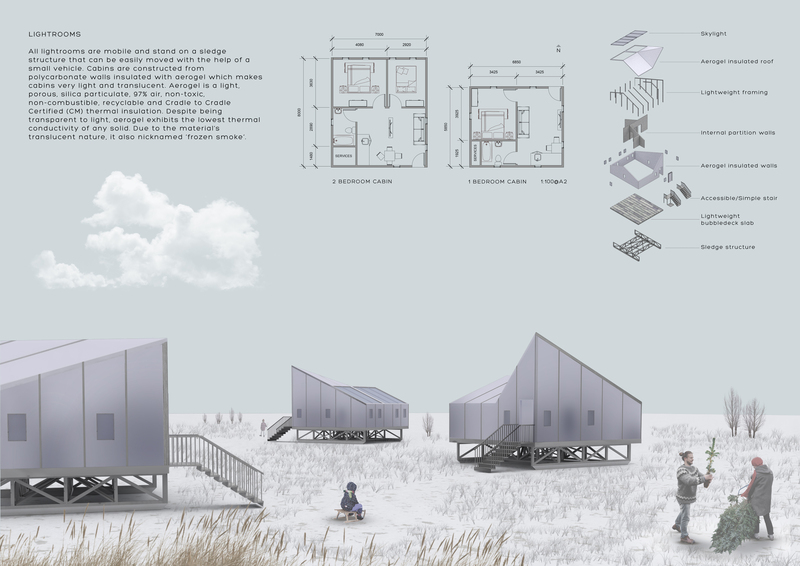 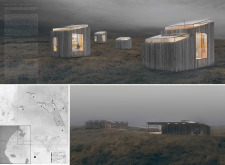 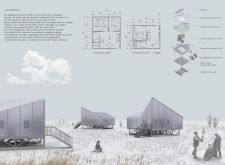 ‘In-Visible’ features a series of mirror-clad guest houses of varying sizes, movable and distributed about the site, and when lit at night perform like glowing lanterns. 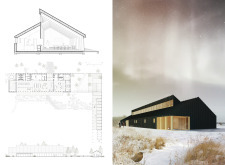 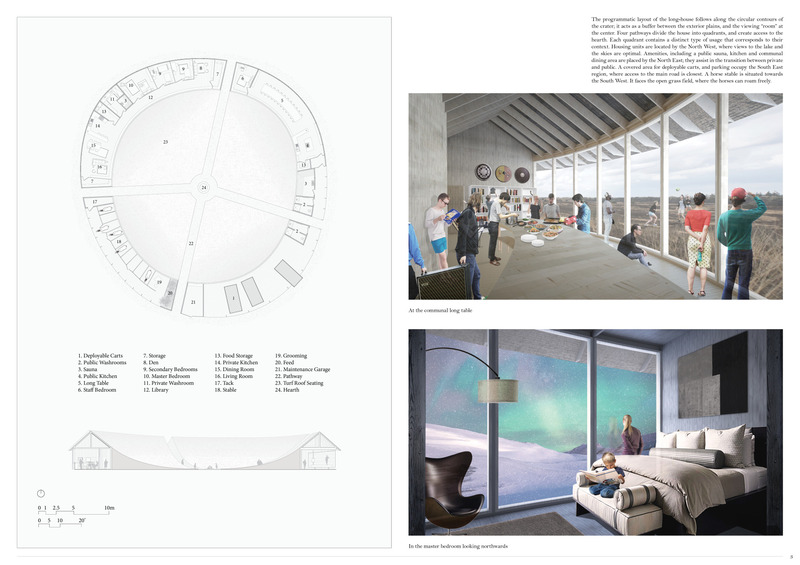 A peat-covered main house is comprised of common spaces and host bedrooms, with a central entry protected from the weather and accessed from below. In a series of impressive images and drawings, the submission illustrates well, via scale and materiality, the design’s care to minimize site disturbance. 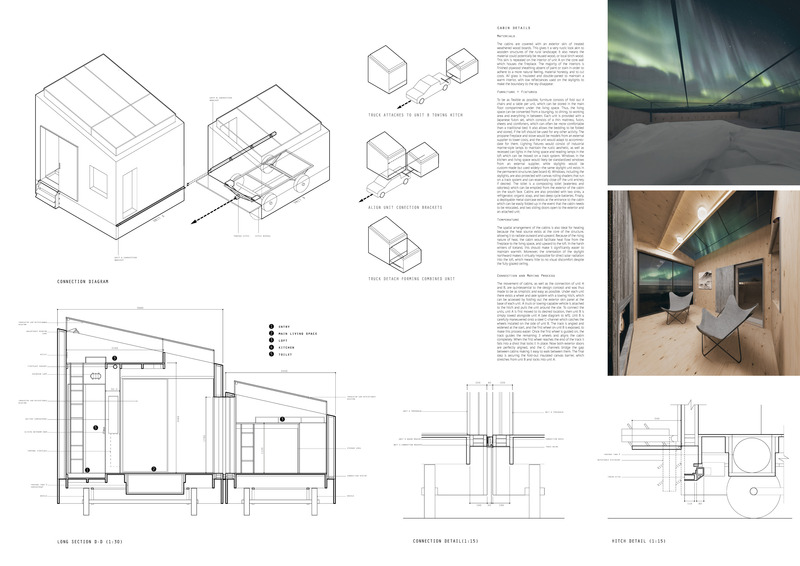 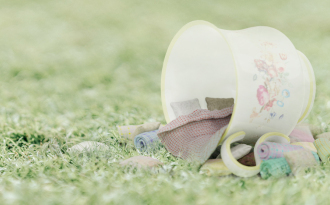 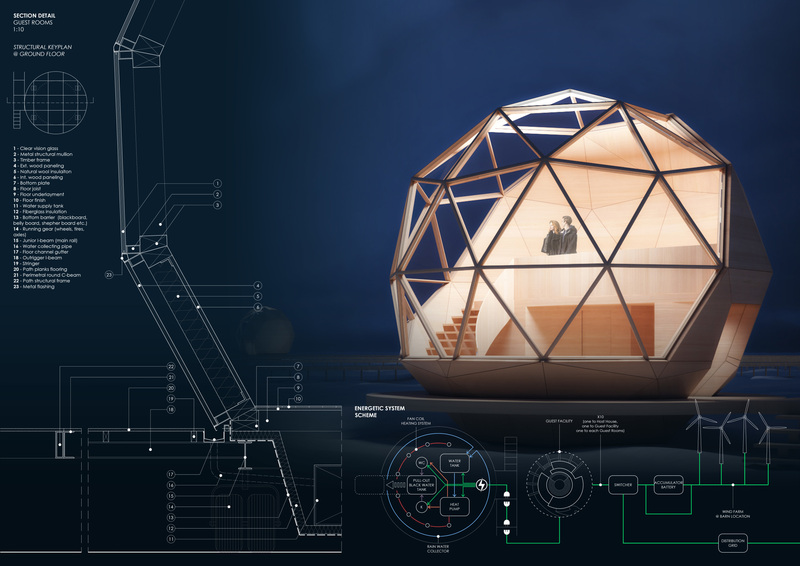 The jury found this submission to be buildable, innovative and well-suited for its location. 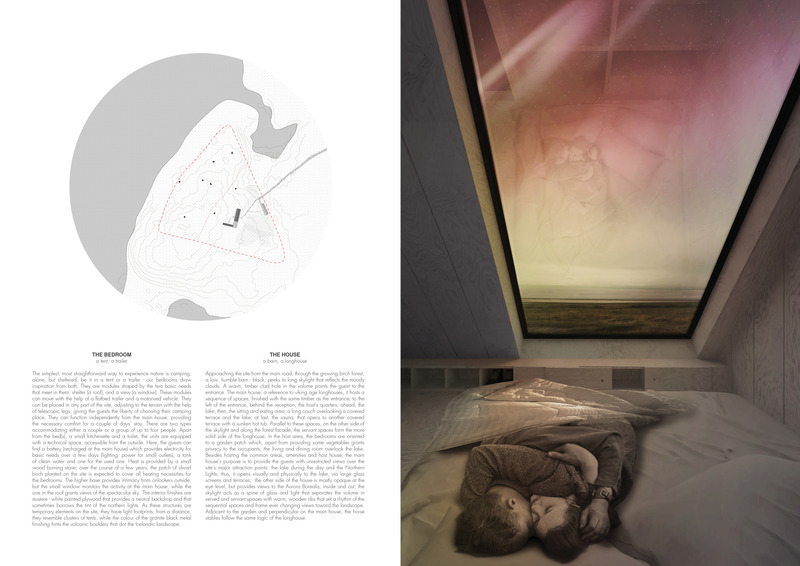 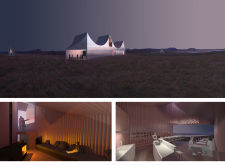 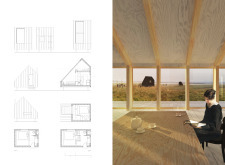 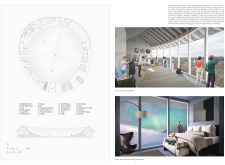 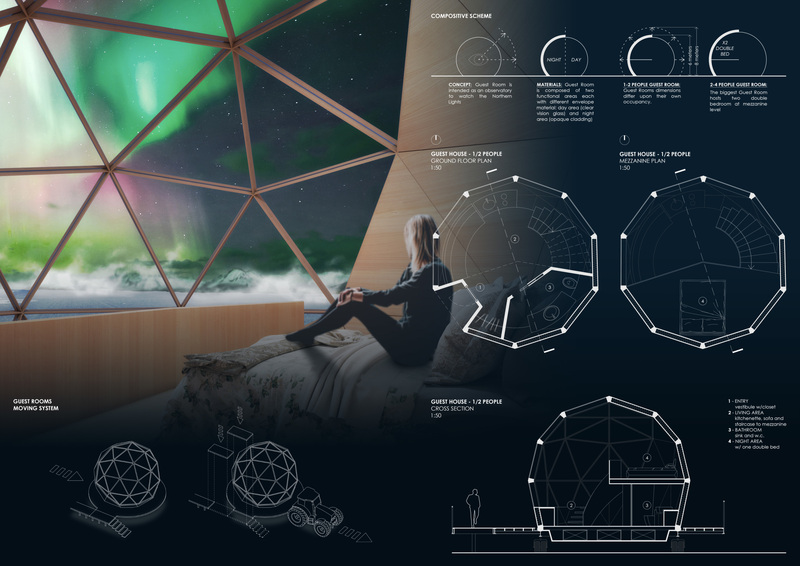 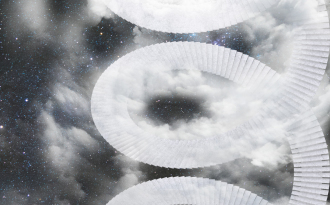 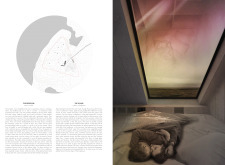 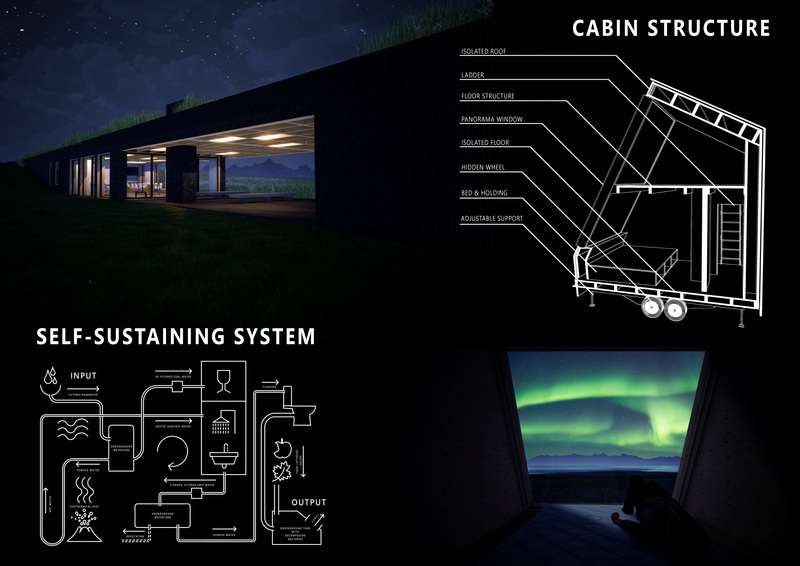 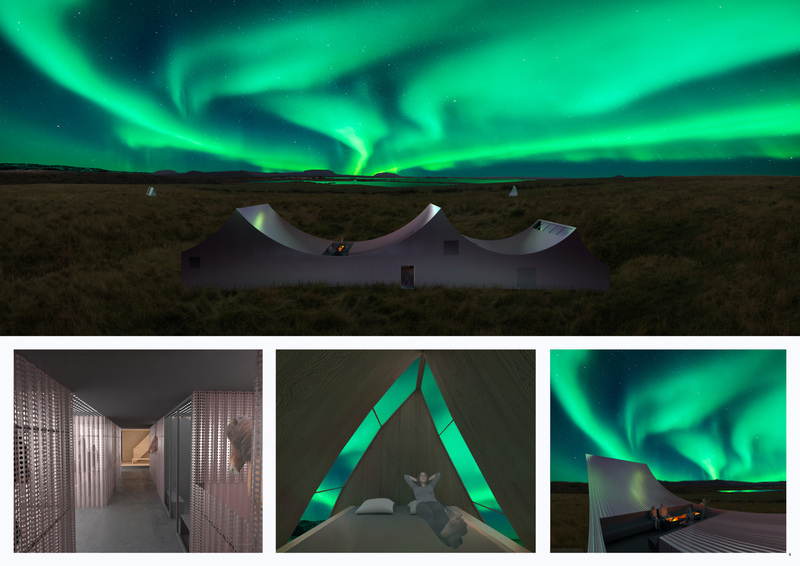 The jury encourages the designer to further study the interior experience of and structural solution for the guest house modules: What is it like to observe the skies privately from one’s bed? 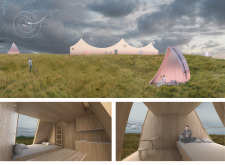 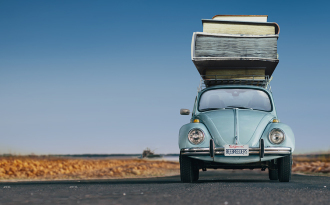 Are there alternative structural solutions to the anchoring cables? 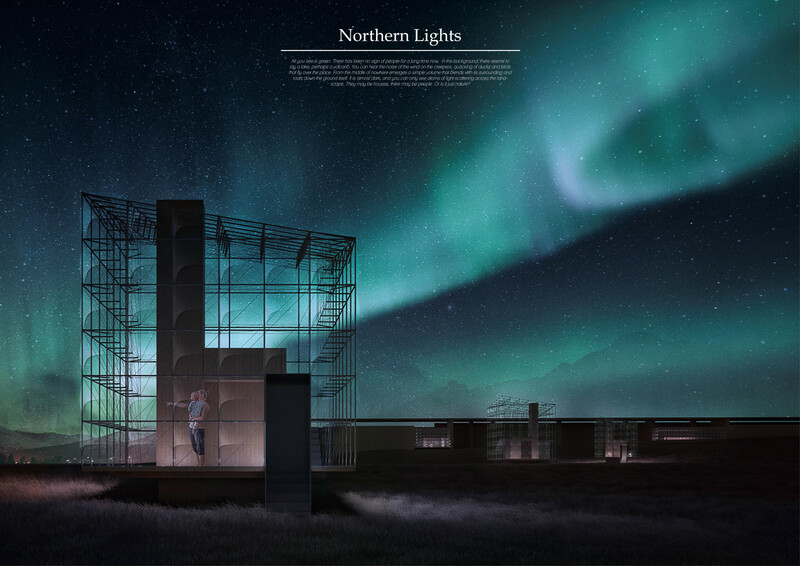 A visitor to Iceland might notice the typical corrugated metal panels that clad many homes in Reykjavik and other towns. 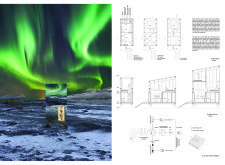 According to Dennis Jóhannesson’s A Guide to Icelandic Architecture, this style evolved during the early 20th century, as iron was imported from England, and as timber housing was banned following a series of fires in Reykjavik. 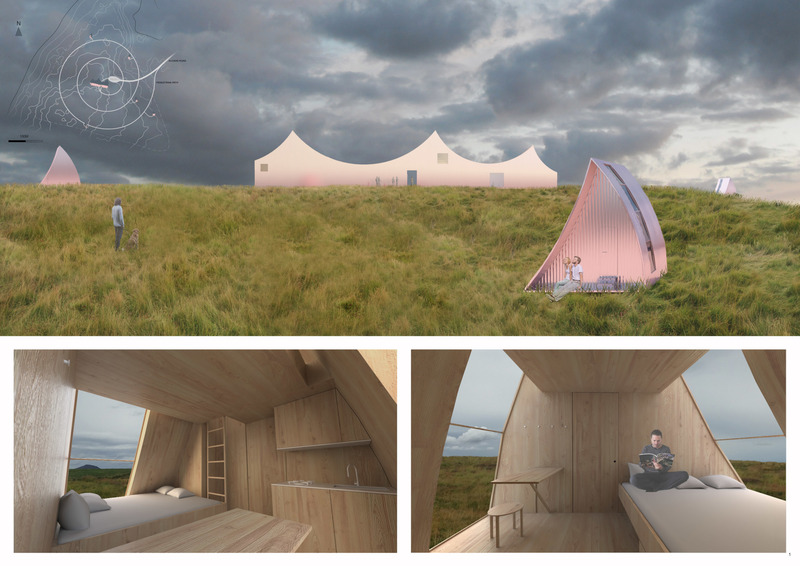 This submission adapts this regional cladding type and proposes a series of sail-shaped buildings made of metal and plywood. 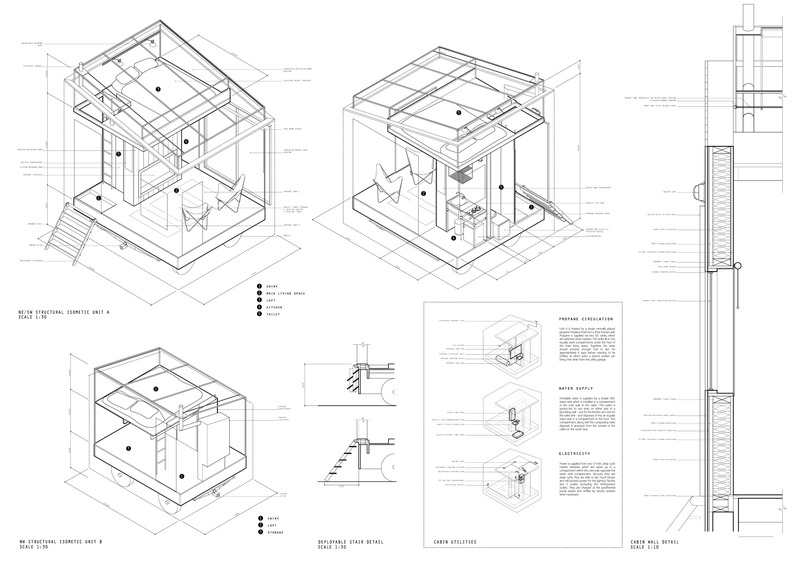 The drawings are striking and convincing. 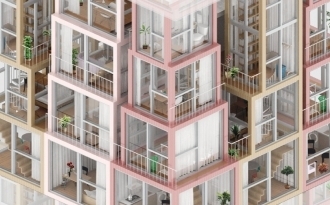 Here, the metallic cladding is silver-pink, a finish which changes according to weather patterns and sky color. 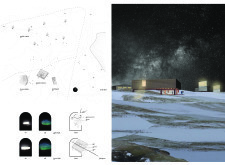 The submission offers realistic cost and feasibility projections, complete with an energy system proposal. 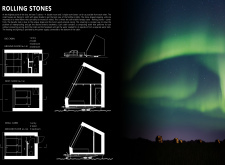 The curved forms of the buildings offer interesting interior and exterior spaces for viewing the landscape and skies. 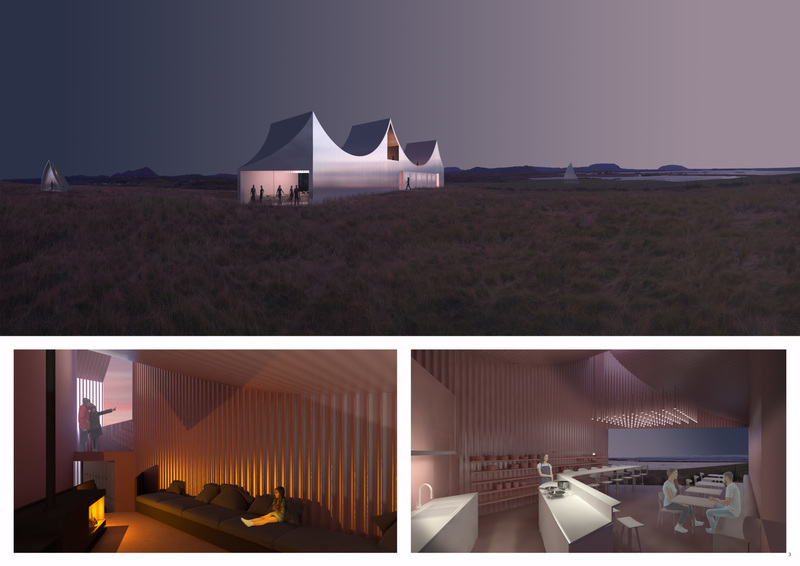 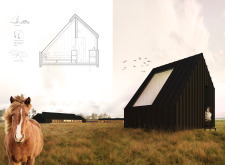 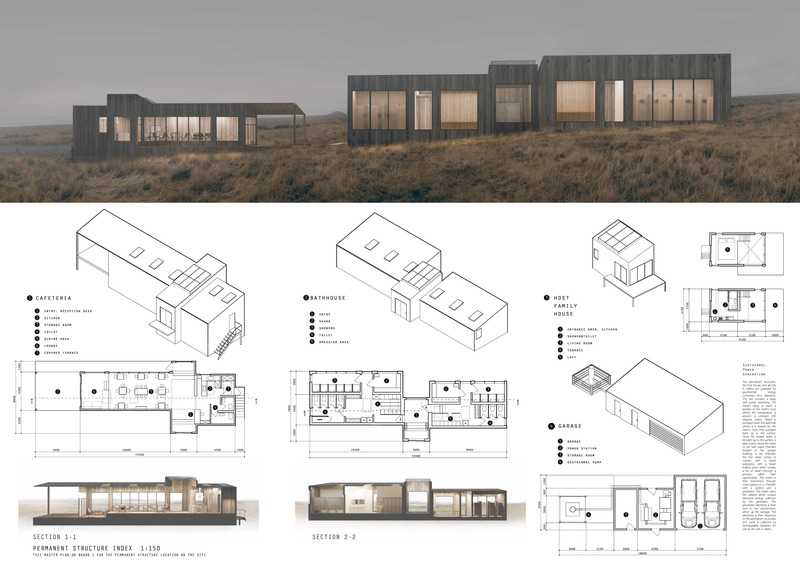 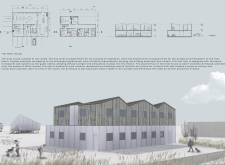 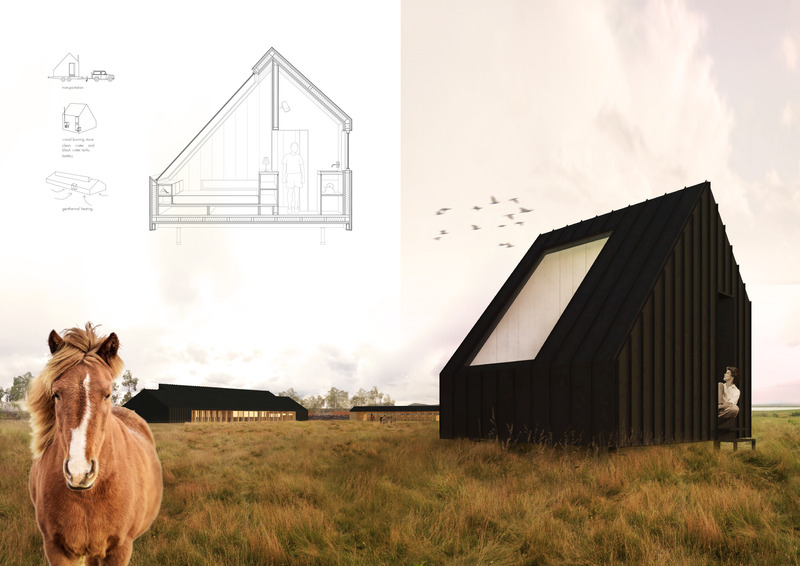 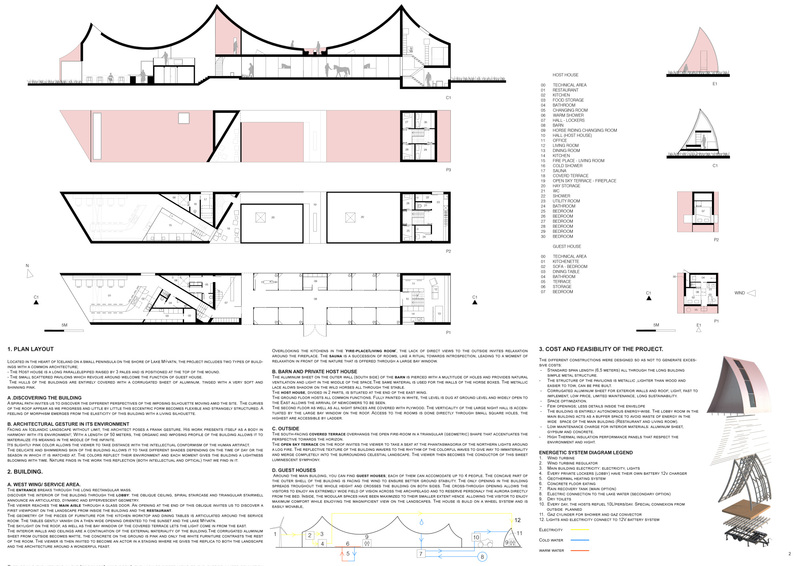 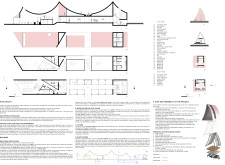 The jury was impressed by the effectiveness of the guesthouse design in this proposal. 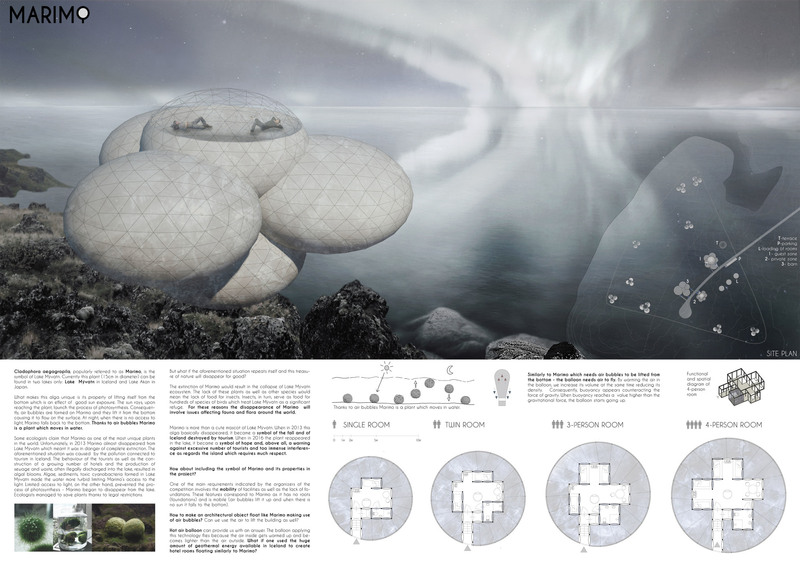 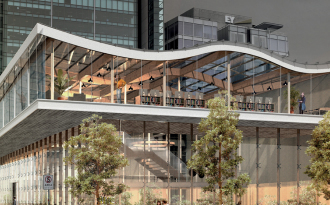 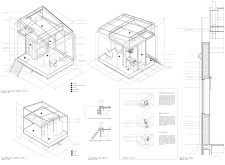 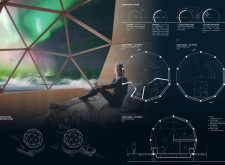 The project description reads: “All modules contain an optimized central nucleus where the facilities and private spaces are enclosed, allowing the circulation spaces to open towards the landscape.” Set within a cube of transparent ETFE pillow membranes, a compact core is surrounded by an open space. 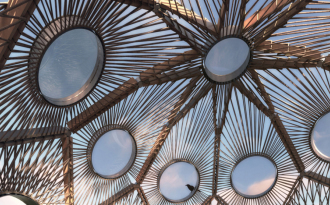 The energy-efficient advantages of ETFE compared to glass include lightness, thermal insulation, and surfaces that are self-cleaning. 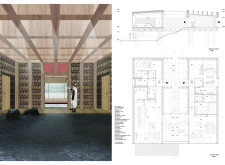 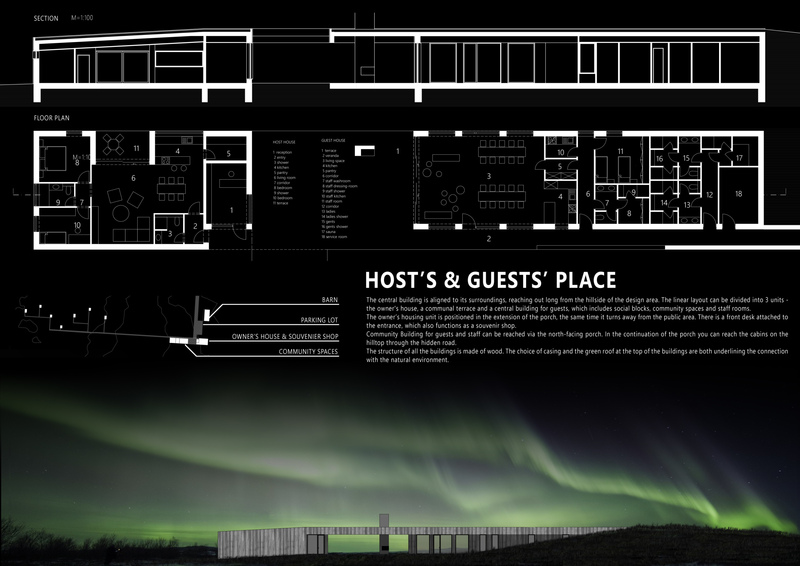 The result here is a beautifully-designed, semi-private space that proved unlike any other proposal put forth. 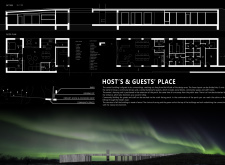 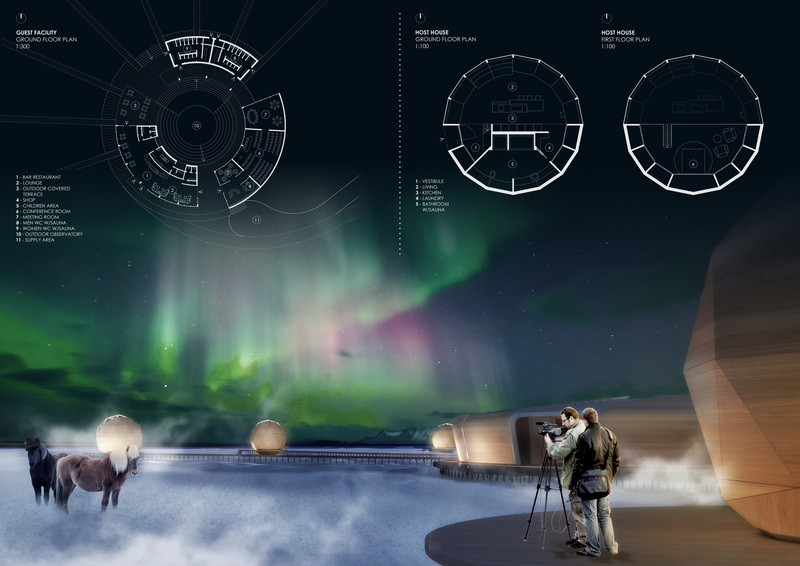 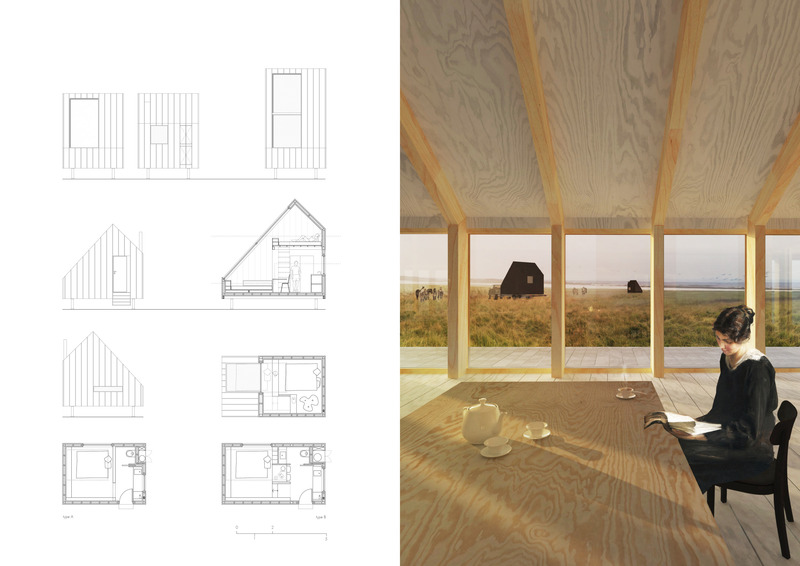 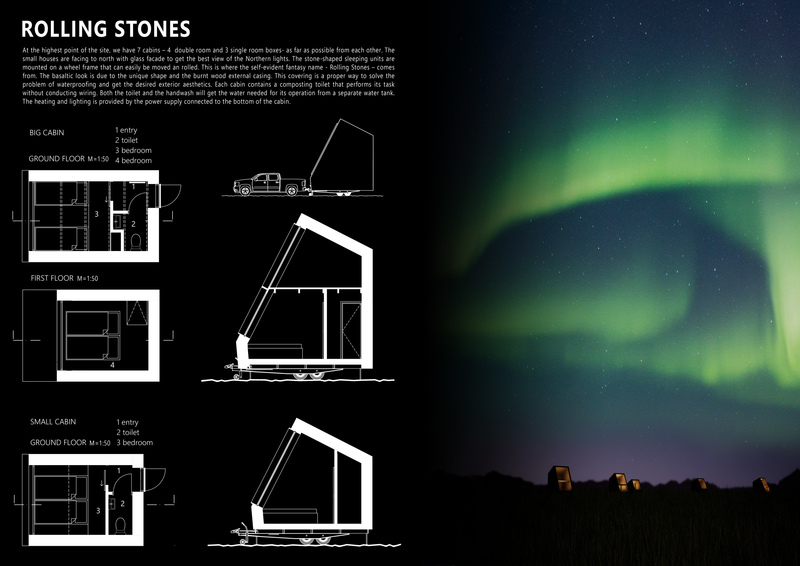 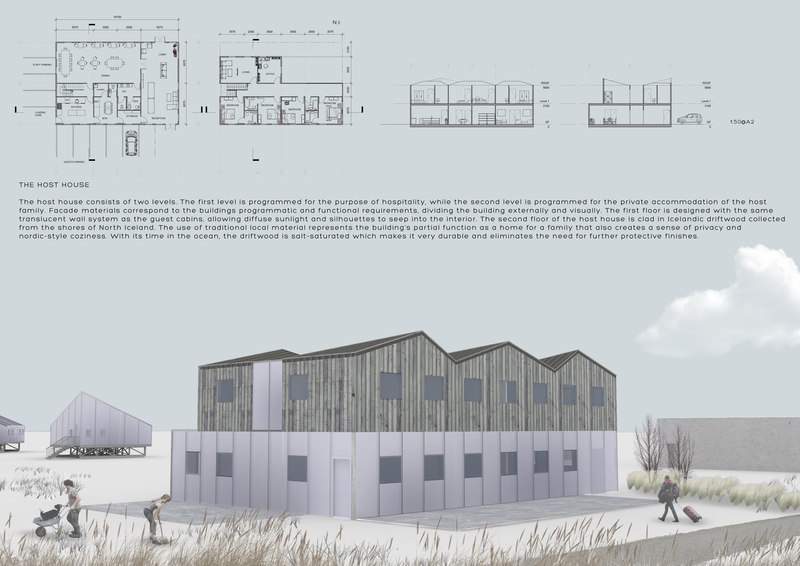 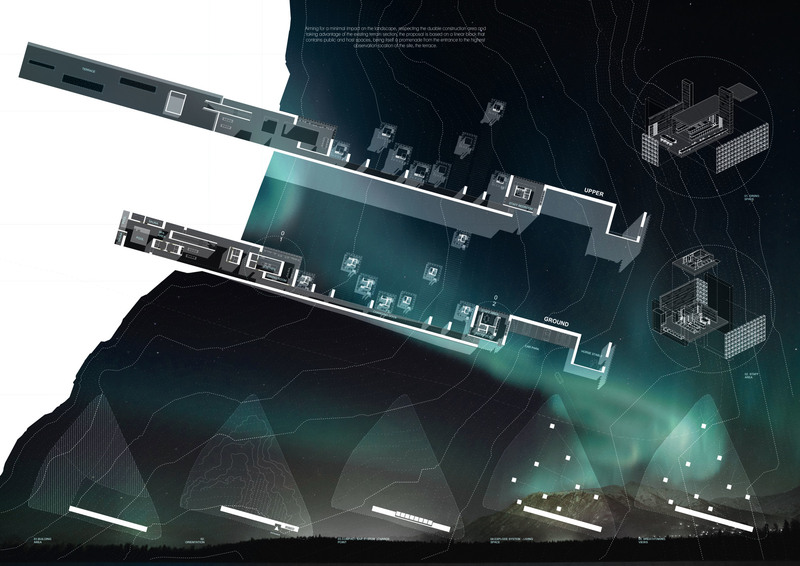 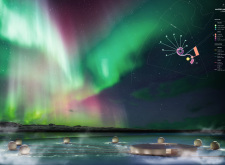 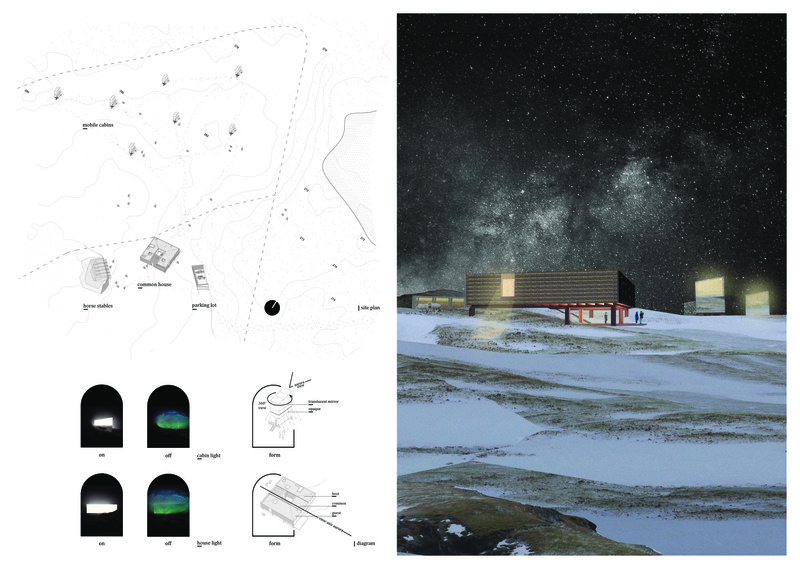 Given the high winds in the Icelandic environment, however, can such a light structure as proposed be feasibly attained?